Wanna take coaching for a test drive?!? Your first session is on me! Hey guys! 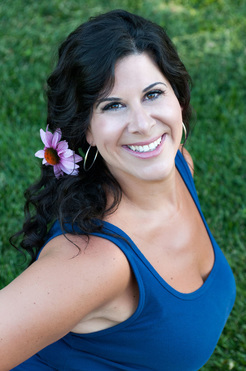 My name is Nicole Comis and I'm so happy to share coaching with you! We all know the drill…life gets busy, we end up functioning on autopilot and our dreams and goals get put on hold. The good news is that you don’t have to be someone who wakes up one day and realizes that so much time has passed and you are so far away from where you want to be. We all have so much going on in our heads and day to day lives that we get stuck, overwhelmed and just plain busy! Imagine a life, where one day each week, you spent 60 minutes to focus completely on YOU. A place where you don’t have to worry about judgment, filtering your thoughts or taking care of someone else’s needs. One hour where you get to focus on YOUR goals, YOUR passions and YOUR dreams! One hour a week that is reserved for you to create the life YOU have always wanted. "I am very blessed and honored to have Nicole as my life coach. Her keen ability to listen beyond just your words and sense when something needs to be dealt with deeper and with more detailed attention changed my life. While working through the challenges of life and realizing where my focuses needed to be, she allowed me to be my true self and pull out how I needed to look at myself in the mirror."